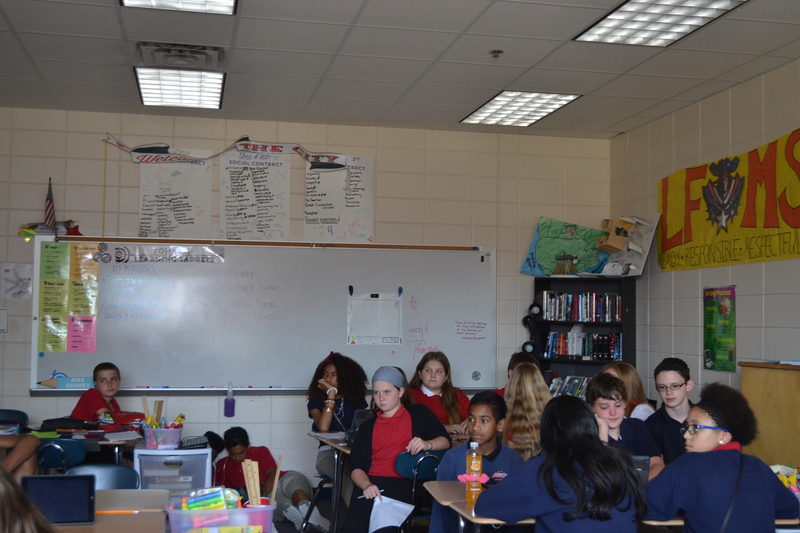 Today many classrooms are disorganized, cluttered, and haphazardly put together. This makes it difficult for students to stay engaged, stay motivated, and achieve. Teachers in many different schools throughout the country have begun to turn their classrooms into more flexible spaces. These flexible classrooms have made students achieve more, stay engaged, and even improve student's grades! So how exactly do flexible classrooms allow students to do this you may ask. Well I am about to tell you, let's begin! As I stated in the previous paragraph, flexible classrooms have helped students improve in many different aspects. One of those aspects is achievement. The dynamic shape of furniture in a flexible classroom helps students to do this. For instance, desks and chairs should be able to be easily moved for grouping between other students or for a student to have their own space. A student having their own space, or being able to collaborate with other students can create a more effective learning environment. This can allow students to see the true potential in themselves. Students see that they achieve more in flexible learning spaces. As stated by New Zealand’s education department, easy access and mobility in different types of learning spaces throughout the classroom is related to positive student outcomes - such as achievement. Now let's talk about how flexible learning spaces can help motivate students. The way flexible furniture in a classroom is designed helps to do this. For instance, desks that can be raised to certain heights, storage items, or even a space to sit on the floor around the room will help students stay motivated. In my personal experience a plain desk and chair in a disorderly room is unmotivating. It is challenging to stay focused and motivated on your work if you are not learning in the space you want to. It would definitely help if the room were more open. Furthermore, flexible classrooms give students a way to learn in a more efficient way, which in turn can help motivate students. Next, let's talk about how flexible learning spaces can help engage students. The mobility and convenience of the furniture in a flexible classroom helps to do this. As stated by New Zealand’s education department, flexible learning spaces allow a range of different learning activities , which helps with engagement of students. Furniture like mobile desks and chairs allow students to learn with classmates which helps with students engagement. In my personal opinion, working with other people and sharing ideas is one of the best ways to learn and stay engaged. Engagement in a student's work is really important, because it goes hand and hand with motivation and achievement in a classroom. In conclusion, flexible learning spaces help students achieve more and stay motivated and engaged. Flexible learning environments are the most efficient way to learn and share ideas within the classroom. They allow students be openminded and see the true potential in themselves. Every student should be able to have this type of experience because it helps students improve in many different ways. Flexible learning environments allow a new way of learning and are the future of classrooms. Now if you ask me that, would be a great future!